Twitter can be an incredible tool for both teachers and students when used correctly. As a teacher, your role in the process is to be professional, understanding, and as creative as possible. In regards to Twitter, the possibilities are as endless as you make them. 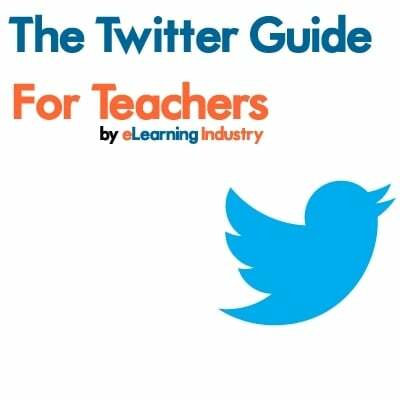 At the Teachers Guide to Twitter you will find: How as a teacher can you effectively utilize Twitter, a creative writing lesson plan using Twitter, 15 creative ways to use Twitter in the classroom, and 15 videos on how as a teacher can you use Twitter in classroom! Justin Bieber has 40.3 million followers. Lady Gaga, who was recently bumped from the number one spot, is at number two with 38 million followers. Katy Perry comes in at number three with 37.7 million followers while Barack Obama, the 44th President of The United States, has 32.6 million followers. This amazing “at the speed of light” way to communicate with millions of people precisely at the same exact time has given these four people, and many others, a powerful voice. And what do they have to say?Justin Bieber and Barack Obama’s tweets are often inspirational and uplifting, such as Justin’s “believe in yourself” and Obama’s “Congrats to Michael Phelps for breaking the all-time Olympic record medal. You’ve made your country proud”. On the other hand, some celebrities and everyday people abandon Twitter Etiquette altogether and use it to lash out at other individuals or as a sounding board for personal problems. Used responsibly and with some humility, Twitter is a fantastic learning tool. As a teacher, you can create a professional Twitter account entirely separate from any personal accounts you may have. And if you haven’t already signed up for Twitter, here is a brief introduction to get started using this amazing communication device to engage student learning and effectively communicate with students and parents. How Can Teachers Effectively Utilize Twitter? Twitter is a unique social media platform known as a microblogging service. Users have 140 characters to create a message that accurately and completely conveys what they are trying to say. This is called a Tweet. Here is more terminology. Retweet (RT): Retweeting someone else’s Tweet. @username: This is an open message to a specific person. Message: This is a private, direct message to a follower. #Hashtag: A tag, such as #shakespeare, that tracks groups and discussions. #Hashtags are used to organize information. Anyone at anytime can make a #hashtag by typing a phrase proceeded by the number symbol. Groups: Allows users to place followers in a single feed. For example, your students would group followers of your @username. When tweeting your followers, they receive you tweet instantaneously and simultaneously. To create a Twitter account, simply go to www.twitter.com and fill in the section that reads, “New to Twitter? Sign up”. You will be sent to a page that allows you to create a username, verify that you’re human, and complete the setup process. Remember that your username is included in your 140-character limit so try to choose a short one. Everything you say on Twitter can be seen by your followers. It is important to keep your Twitter account professional and separate from any personal Twitter accounts you may have. Also use a professional picture and create a professional biography. It is not recommended to follow students Twitter accounts or directly message them. Also, students and parents don’t need a Twitter account to follow your tweets. You just need to supply them with your Twitter name. I highly encourage you to follow your school’s social media policies. Chances are your school has a written guideline for using social media tools such as Twitter. This is where you should begin your research for including Twitter in your lesson plans and classroom culture. Your school’s guide should let you know how you can and cannot use Twitter as a learning tool and whether or not students require parental permission to follow you on Twitter. There are many ways you can include Twitter in your Lesson Plans, no matter what the subject. Here is a detailed lesson that you can adapt to fit your students and your subject. Students often wonder what to write about and how to come up with ideas to keep writing. Use Twitter to help them brainstorm and define plot and character (for a history paper they can use Twitter to help each other organize ideas). Have students work in teams to brainstorm story ideas on Twitter. Have the groups tweet their ideas to their group followers using the classroom #hashtag. This technological conversation will guide the students through the brainstorming process. Remember to set a deadline for a final idea and a minimum number of participatory Tweets for each student. By the end of the Tweeting session, typically a class period, the students will have a good idea of what their story is about. Plot development. Use two or three class periods to move the story forward by having the students Tweet a timeline, basically a “what happens next” time log. The students will cooperatively develop the story, establishing time, setting, and twists and turns. With all of this information, have each student write a rough draft. Even though they brainstormed and developed together, each story will be individually unique. Use this cooperative strategy a few times, changing up the groups, and your students will become pros at character and plot development. Twitter can be used for more than just lesson plans. As a classroom tool for teachers, Twitter will help you save time, prepare students for tests, keep everyone organized and on top of important announcements. Here are 15 creative ways to use Twitter in your classroom. By using #hashtags, students can find a wealth of information on any subject, giving them quick access to up-to-date information. Collaborate with students and teachers from around the world by using Twitter. Learn about other cultures and languages. You can use Twitter to keep a stream of questions flowing in during lectures for any computer-enabled classroom. Make history lessons fun and engaging by having students take on the identity of a famous historical figure by tweeting famous quotes, facts, and ideas about this individual. Twitter makes it easy for students to share notes with each other during and after lessons. Notes can also be printed out and shared. For literature and media studies, students can use Twitter to write short reviews of movies, books, and music. Teacher’s like saving time and paper. Use Twitter to post sample questions for upcoming tests, homework assignments, and supplementary materials and forget about those last minute mad dashes to the copy machine. Even the Pope Tweets! Many religious institutions and religious figures use Twitter to communicate with followers and discuss their beliefs and teachings. You can create a lesson plan that compares two or more religious faiths by following an institutions and individuals on Twitter. Use Tweets to Keep everyone up-to-date on syllabus changes, class cancellations and other important class related news and announcements. Have each student choose a country or state to track over a specified amount of time. Encourage students to choose a location that experiences varied or severe weather patterns, such as Rhode Island or Jamaica. Students can chart their findings, making scientific notes and then discuss these weather patterns with their peers. Have a student start with the first line of a poem with each student adding a line one after the other. To determine the order in which students participate, have them draw numbers out of a hat. Make it a free form poem or a rhyming poem or any kind of poem you want. After the poem is completed, display it in the classroom. 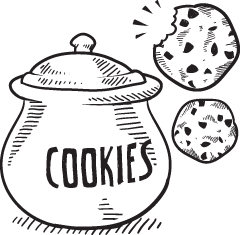 No matter what you subject you teach - math, history, literature or science – use Twitter to post various subject-related riddles, trivia, or other questions that will get your student’s brains working. Award prizes and privileges for correct answers. You can have students answer individually or in groups. Having your fifth graders perform a little Shakespeare at the next school fundraiser event? Record it and post the video for students and parents to treasure forever. You can record and post clips of in-class skits, fieldtrips and other educational adventures. Use Twitter to follow other teachers whose expertise can supply you with ideas for classroom lessons. This is an especially effective tool for novice teachers to use. At the end of a lesson or lecture, ask students to type a 140-character or less summary of what they learned. You can also have them post questions as part of their assessment. How Teachers can use Twitter in Classroom! - 15 YouTube videos! In this 5 minutes-or-so video, Marc-André Lalande explain some of the advantages of using Twitter in education. Using Twitter for Teaching, Learning and Professional Development in Higher Education. These tools offer free functionality that extend and enhance the possibilities for instructional uses of Twitter. Teachers are finding new ways to use Twitter to engage their students, build stronger academic and professional relationships, and to share information in a richer learning environment, and they are using tools like these to bring more fun and functionality to the process. If you're a teacher who's brand new to social media and not sure where to start, let me take you on a tour of Twitter and show you one of the easiest ways to connect with others in the profession. Educators on Twitter share articles, blog links, research and engage in ongoing conversations that help us learn, grow and be better teachers. Prof. Angie Wassenmiller, director of instructional technology and e-learning at Concordia, talks about personal learning networks (PLN) why teachers should thinking about using Twitter. Learn how to use Twitter in the K-12 classroom for any subject, in 5 minutes or less. Twitter is just one tool that can be used to build a PLN. Listen to Waukesha West Social Studies Teacher Dale Van Keuren talk about his experience with Twitter, specifically how it has refreshed, informed, and invigorated his teaching practice. This is a video created by one of Rey Junco's students to summarize the research we conducted on the effects of Twitter on student engagement and grades. I started using Twitter in the classroom and instantly saw the kids take to it. New technology, a new model. 15) Twitter in the classroom? High schoolers at Roosevelt High School in Minneapolis, Minn. are being engaged in the classroom in a whole new way. By using social media tools and giving them access to the Internet, students are able to learn in different ways. Having discussions about their English class online has increased their level of attention and engagement in their studies. These are just a few of the ways you can effectively use Twitter in the classroom. Competing with Justin Bieber and Lady Gaga isn’t easy. In today’s modern world, celebrities are becoming more and more influential in our student’s lives. So how can you get your students to follow you on Twitter It’s simple. Make it mandatory and make it fun. Happy Tweeting!